All will have the use of an individual triangular loom that you can take home to do homework! 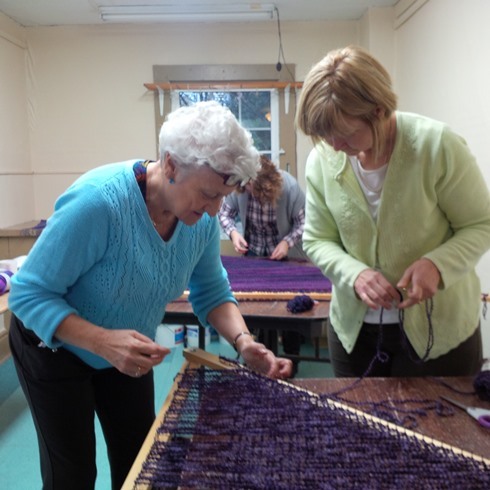 This basic course will be very hands on - with participants weaving from day one. Each loom will be prepared with a warp, ready for you to start weaving on the first evening. All will have the use of an individual table loom that you can take home to do homework! - Design of, and operation of the loom, basic terminologies, etc. - Designing cloth for different uses, finishing with designing and weaving a piece of your choice. You will be provided with a Dorothy small table loom that will be ready to start weaving on Day 1. You will be able to fold the loom to take home between classes, for homework.